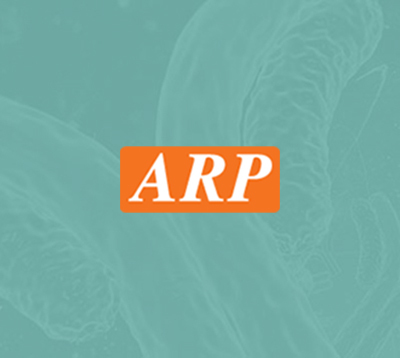 HADH, 13-314aa, Human, 01-1798 | ARP American Research Products, Inc.
HADH, which belongs to the family of oxidoreductases, is important for converting certain fats to energy. This protein is an enzyme that catalyzes the chemical reaction. ((S)-3-hydroxyacyl-CoA + NAD+ <=>3-oxoacyl-CoA + NADH + H+ ) It is also involved in a process called fatty acid oxidation, in which several enzymes work in a step-wise fashion to break down (metabolize) fats and convert them to energy. Recombinant HADH protein was expressed in E.coli and purified by using conventional chromatography techniques. HAD, HADH1, HHF4, M/SCHAD, SCHAD, Hydroxyacyl-coenzyme A dehydrogenase, mitochondrial Hydroxyacyl Coenzyme A dehydrogenase type II, Mitochondrial L3 Hydroxyacyl CoA Dehydrogenase, 17 beta hydroxysteroid dehydrogenase 10, 17 beta hydroxysteroid dehydrogenase type 10, 3 hydroxy 2 methylbutyryl CoA dehydrogenase, 3 hydroxyacyl CoA dehydrogenase type 2, 3 hydroxyacyl CoA dehydrogenase type II, AB binding alcohol dehydrogenase, 17b HSD10, ABAD, Ads9, Amyloid beta binding polypeptide, Amyloid beta peptide binding alcohol dehydrogenase, Amyloid beta peptide binding protein, CAMR, DUPXp11.22, Endoplasmic Reticulum Amyloid Binding Protein, Endoplasmic reticulum associated amyloid beta peptide binding protein, ER associated a+myloid beta-binding protein, ERAB, HADH 2, HADH2, HCD 2, HCD2, HSD17B10, Hydroxyacyl CoA Dehydrogenase type II, Hydroxysteroid (17 beta) dehydrogenase 10, Mental retardation X linked syndromic 11, MHBD, Mitochondrial ribonuclease P protein 2, Mitochondrial RNase P protein 2, MRPP2, MRX17, Short chain dehydrogenase/reductase family 5C member 1, SDR5C1, Short chain L 3 hydroxyacyl CoA dehydrogenase type 2, Short chain type dehydrogenase/reductase XH98G2, Type 10 17b HSD, Type 10 17beta hydroxysteroid dehydrogenase, Type II HADH, XH98G2. 38.9 kDa (343aa), confirmed by MALDI-TOF. Vredendaal PJ, et al. (1996) Biochem Biophys Res Commun. 223(3):718-23.